Fastlove, the world's largest George Michael celebration, announces a 15-date UK Arena Tour. 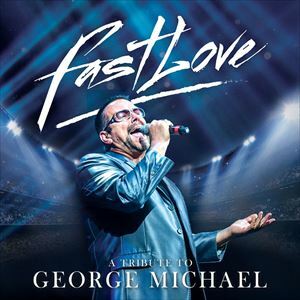 Direct from London's West End and touring around the world, Fastlove has quickly become a worldwide phenomenon, bringing to life a respectful and moving tribute to the late great George Michael. Ed Barker, George Michael's saxophonist from the Symphonica Tour, will be joined on stage on selected shows by Wham's very own trumpet player Colin Graham and George Michael's backing singer and 2015 X Factor finalist Anton Stephans. The Arena Tour will consist of a whole new vibrant show with songs including I Can't Make You Love Me, One More Try and I Knew You Were Waiting, as well as the classic hits of Careless Whisper, Outside and I'm Your Man. Fastlove Arena Tour - be part of the biggest party of the year. Tickets on sale now!